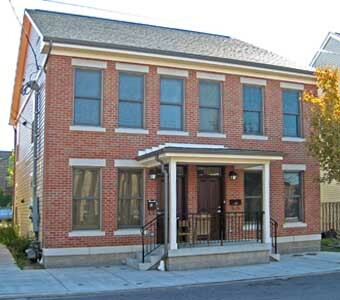 Located in a historic designated neighborhood, the three varying size prototype buildings with accessible units and walk up units above were designed for the Housing Authority of Pittsburgh. 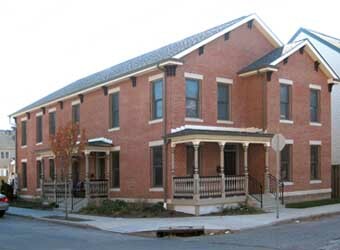 Challenged by the step up porches along the typical historic buildings that line the streets, the parking and accessible approach to the units were made from the rear of the buildings to allow the historic front porches. Given three months for site and building construction to meet a deadline, pre-cast foundation and modular units with complete interior finish were transported and craned onto each site. 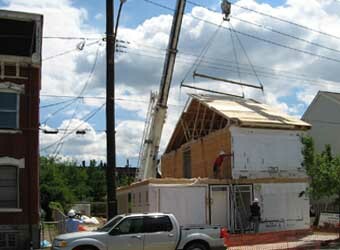 Each prototype structure consisted of four modular units. 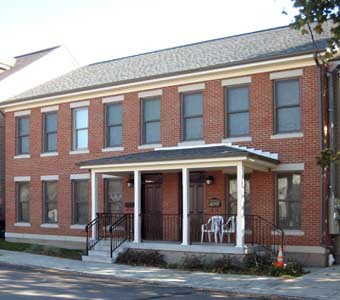 The brick veneer and porches were built on site.